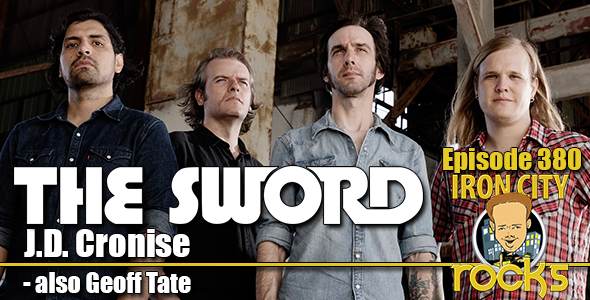 In Episode 380 of the Iron City Rocks Podcast we are joined by John Cronise of The Sword. The Sword are currently on the road promoting their latest studio album Used Future. John talks to us about promoting a band in the Youtube era, writing material, his views on the label “Stoner Rock” and much more. We are also joined by Geoff Tate who is currently touring celebrating the 30th Anniversary of Queensryche’s Operation: Mindcrime. Geoff discusses his current band, his thoughts on some of his favorite albums from his extensive catalog, traveling and much, much more.